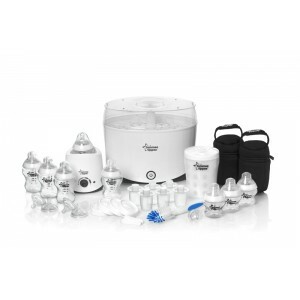 This Tommee Tippee Closer to Nature Complete Starter Kit come with everything you need to make baby feeding a breeze. The stylish and streamlined electric steriliser is fast and easy to use, while the travel steriliser, small enough to fit in a changing bag, ensures you are never without a sterilised bottle. 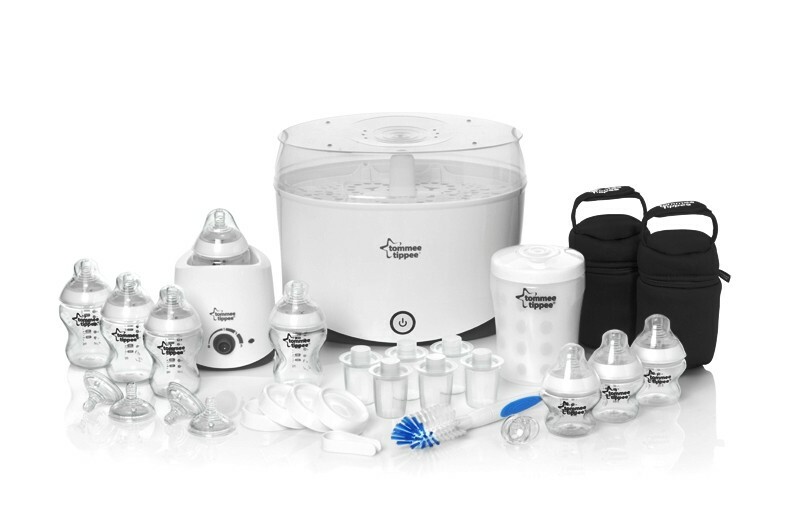 The Complete Starter Kit also contains the award-winning Closer to Nature bottles, designed to make switching between breast and bottle feeding easier than ever before. To get the most out of your bottles, the Complete Starter Kit contains milk powder dispensers, milk storage lids, medium and fast flow teats, a bottle and teat brush, insulated bottle bags, and even an electric bottle and food warmer. Contains everything mum will need to start bottle feeding new born. Convenient - heat baby food and sterilise baby bottles and teats. Unique extra-wide teat on Closer to Nature bottles flexes and stretches to mimic the natural feel of mum's breast. Travel steriliser offers extra convenience for night-time feeds and while out and about. 5 x Closer to Nature 260ml/9floz Feeding Bottles with slow flow teats. 3 x Closer to Nature 150ml/ 5floz Feeding bottles with slow flow teats. 1 x Closer to Nature Electric Bottle Warmer. 1 x Closer to Nature Travel Steriliser. 6 x Closer to Nature Milk Powder Dispenser. 4 x Closer to Nature Milk Storage Lids. 2 x Closer to Nature Insulated Bottle Bags. 2 x Closer to Nature Medium Flow Teats. 2 x Closer to Nature Fast Flow Teats. 1 x Closer to Nature 0-6month Soother. 1 x Closer to Nature Bottle Brush.